Silver Doe | Expecto Patronum! 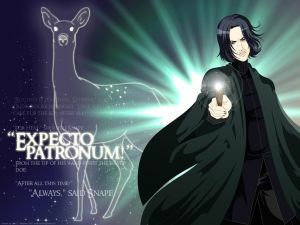 “Expecto Patronum” the man whispered, and a bright light burst forth from the tip of his wand, taking the form of a doe. He had never before seen her illuminate a darkness so profound, and the brilliance of the Patronus recalled to his mind those near-forgotten words from early youth: Et lux in tenebris lucet. The light shines in the darkness. He gazed on her longingly, wishing he could cling to her light. But this was no time for sentimentality. He had a job to do. And if he failed to do it, an even deeper darkness would descend. He, a Slytherin, had been entrusted with carrying the Sword of Gryffindor to those who could rightly wield it – the Sword which now lay secure at the bottom of the frozen pool as the Patronus stood before him, awaiting his guidance. He had a plan, he’d told the portrait, but would the boy follow? 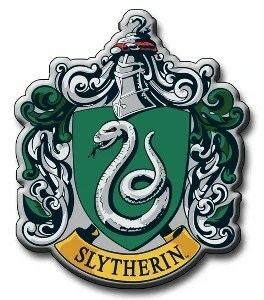 Only two days before, word came to him that the great snake had forcefully sunk her fangs into Potter’s arm. Apparently, though, the boy had recovered sufficiently to apparate into these woods – evidence, no doubt, that Miss Granger’s resourcefulness had, as always, served Potter well. But what of Weasley? Dumbledore – for reasons he had yet fully to apprehend – had faith that Weasley and Granger both were the proper companions to help Potter accomplish whatever task he had been assigned. Perhaps he was correct. 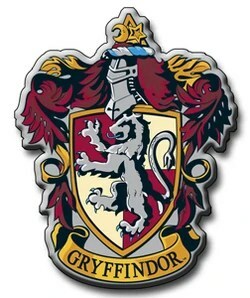 Even Longbottom had recently shown the valor for which his House was known, leading an admirable, if ill-fated, raid to steal Gryffindor’s Sword from inside the Headmaster’s office. He scrutinized the doe’s soft, luminous eyes as moisture filled the rims of his own, and he released her to wander in search of the boy. 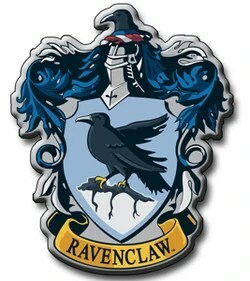 In happier times – not that any of his times had ever been especially happy – but in times less dire perhaps, he had often spent the night after Christmas lounging in a plush staffroom chair, playing Wizard Chess with Minerva before the fire. She hated him now. All his old colleagues did. And best that it be so. It would not do for any of them to hesitate in thinking him a murderer, a traitor, a coward. It was their best protection… and his. And so he stood under a Disillusionment Charm behind the treeline on the night after Christmas – watching and waiting for the boy in the frigid dark.